Renowned in the cradle of 18th century classicism and 19th century romanticism - Vienna - and in Germany, Maestro Paul-Elliott Cobbs is a unique voice in the international music community. A popular guest conductor, he appears frequently with orchestras and ensembles in Europe, Asia and the United States. 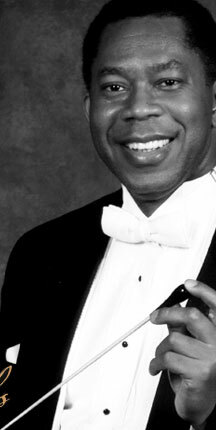 By listening to those who have worked with the masters, passing on musical nuances that defy notation, and telling stories about the power of music to change lives, Maestro Cobbs captures the imagination of performers and audiences alike. Request information | Copyright©2012 Paul-Elliott Cobbs. All rights reserved.